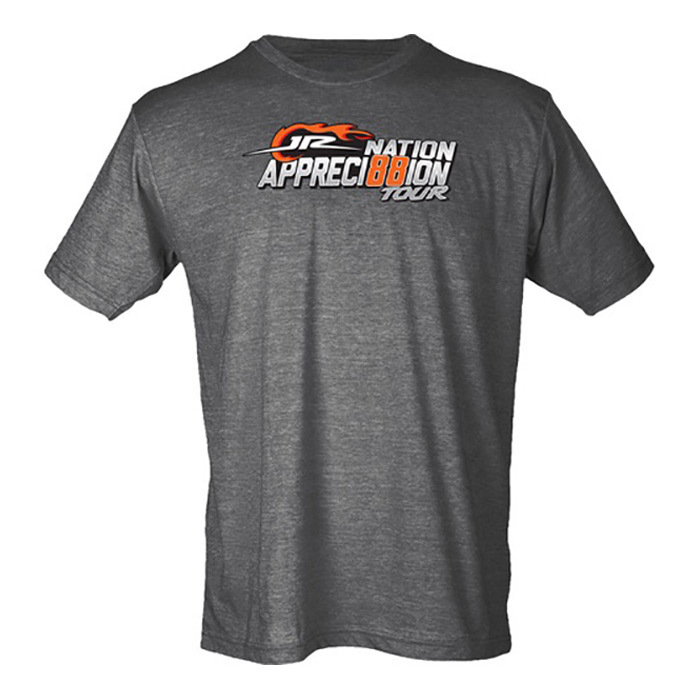 JR Nation Appreci88ion Tour Shirt! Features the official logo. Awesome shirt! Wish I would have ordered a large, fits a little lose. I'm gonna miss watching Dale JR. racin' in the Cup series and contending for wins and the championship. I'll wear this shirt with pride! Dale Y3AH !! !